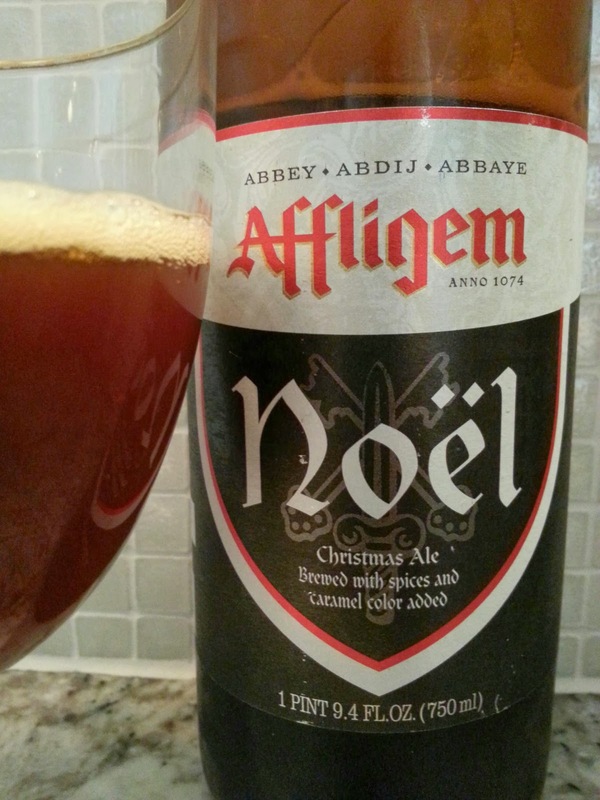 From what I found, it appears that the Affligem brand of beers was actually brewed by the Op-Ale Brewery in Opwijk, Belgium under license from the Affligem Abbey. The Op-Ale Brewery also produced beers under their own brand name but was eventually purchased by Heineken who later renamed it to Affligem Brewery. That was all news to me, same with the fact that Heineken owns about 190 breweries around the world is third largest after AB-InBev and SABMiller. 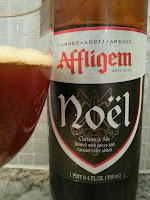 Affligem Noël is another beer that I typically purchase during the holidays, although I don't think I've seen it this year. The one I'm enjoying right now is actually a bottle that's been sitting in the back of my cellar since 2008 or 2009 (I'm not exactly sure, I have two different dates written on the bottle). Anyway, still a great beer that's aged very well. Carbonation is light, but still present. Aroma is sweet caramel, toffee and dark fruits with some bready Belgian yeasts coming through. Flavour is along the same lines as the aroma to start, but then I also get the addition of what to me tastes like coconut with a little pineapple. There's a citrus bitterness in the semi-dry finish and a hint of spices start to come through in the very end with notes of cinnamon and little light pepper at the back of my throat. Considering it's four or possibly five years old, there's quite a strong warming affect from the 9% ABV that I expected to be more mellow. I may have to try and hunt down a few bottles from this year (assuming we got any here) and see how a "fresh" one compares to this one. It appears that Christmas Day is fast approaching, so I'll go ahead and push out two posts today with hopes that I'll complete the 12 part series by the 25th. However, I still have a quite a few more bottles of Christmas Beers in the fridge (and will most likely buy more), so I may do a few CD+ (Christmas Day plus #) posts as well.